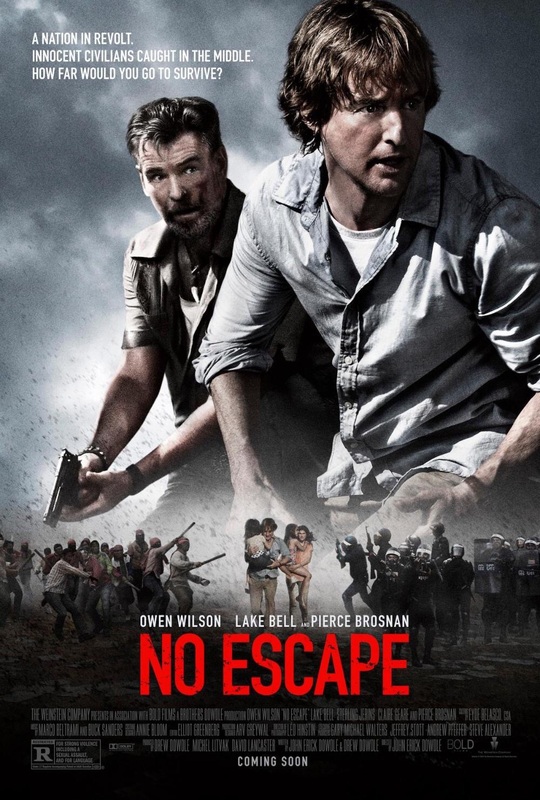 Review: No Escape … A roller coaster for sure, but not the fun kind. I have a fair understanding of global travel and the expat world. As the world continues to shrink, to be sent on an assignment in a foreign country for work is not an unusual situation. Asia is a popular destination as global multi-nationals extend their reach, and No Escape sets up the main characters as Americans in that position. Jack and Annie Dwyer, with their two charming daughters, are an expat family on their way to an undisclosed, amalgamous Asian destination where Jack has accepted a new job. Not long after their arrival, a coup upsets the balance and turns their adventure into a nightmare as Rebels systematically take over the city. This is not purely a political coup, which becomes very apparent when foreign nationals are targeted particularly. Directed by John Erick Dowdle, he certainly maneuvers No Escape into an absolute roller coaster ride of a film where the action starts before the titles and carries to the credits. Using (or over-using) slow motion and hand-held camera, this forces the viewer to experience the precariousness of the situation. One scene was extremely powerful as the action slows to show the zealous hatred and terror reflected on the faces of the opposing forces as this escalation teeters briefly, then collapses into mayhem. 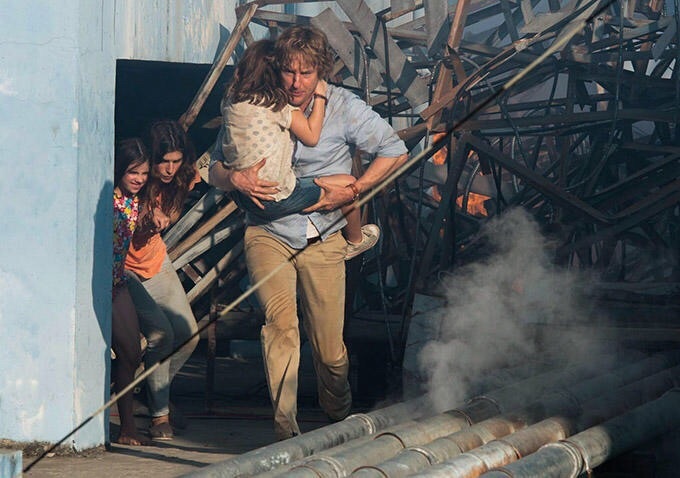 Owen Wilson and Lake Bell more than aptly represent as parents caught in a terrifying situation. I was certainly drawn in as a mother, and felt empathetic tears spring to my eyes on several occasions wondering would I have been so capable in their shoes. Too bad Pierce Brosnan is under used here, and crammed into a caricature of a supporting role. What is most unfortunate about this film is that the driving plot device is the unwavering brutality of the Rebels as they carry out their manhunt. I wish not, but I have grown used to gore and violence in movies and television. However, I found the display here to be more than disturbing. While I understand that zeal and mob mentality can generate a tidal wave of savagery, I did not want, or need to see it. Overall, it was a pretty exhausting 90 minutes or so, with few positive elements. No Escape is an example of a film where the technical components are all in place, but perhaps this was just a hard story that didn’t need to be told. Cindy says: ⭐️⭐️⭐️ 1/2 stars — well acted under the circumstances. It was good to see Owen Wilson break out from his usual onscreen persona. Recommendations: This was a hard one because it’s not so genre driven. Try Taken or even Die Hard. Review: Digging for Fire… without much spark.